Tidal secures new streaming partnerships with McIntosh and Wadia | What Hi-Fi? 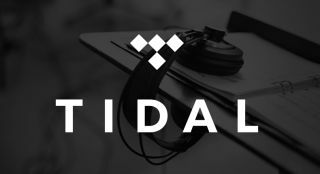 Tidal, the lossless music streaming service launched in late 2014, shows little sign of slowing up the pace of its expansion after confirming two more audio manufacturers as integration partners. McIntosh and Wadia have now swelled the ranks of Tidal partners, joining the likes of Sonos, Simple Audio and Bluesound in offering its users the chance to access the CD-quality music service. A new software update is due for release and will upgrade existing McIntosh MB100 Media Bridge to allow access to Tidal. All new MB100s and Wadia M330 media servers have access built-in. It means that – if you're a Tidal subscriber – you'll get direct access and control of the 25 million CD-quality tracks available from the service through the apps that control the respective players. Tidal's Pål Bråtelund said: "We are delighted to have McIntosh and Wadia implementing the service, as we class both brands as being among the best in the world." McIntosh president Charlie Randall added: "Tidal now offers the [music streaming] solution we have been waiting for and we are delighted to have it integrated into our key streaming products."